3D advertising brings a new dimension to your advertising where customers can interact with your adverts, share with friends, like on Facebook and best of all... get to know your new customer and send future offers via email. 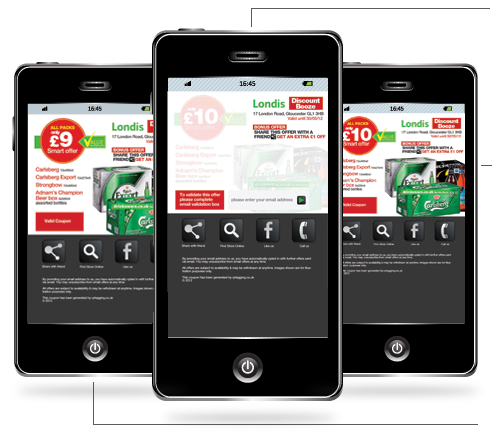 By generating a QR Code and displaying the code through traditional advertising you can police traffic to a unique URL whether it be a web page, video or better still a voucher or coupon. Your advertising therefore becomes viral and measurable, giving a clearer outcome of your campaigns. New offer appears when promotion has been shared by the end user. 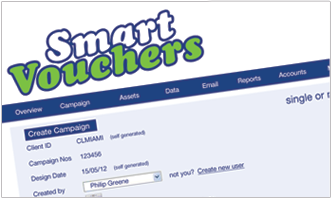 Smart Vouchers can be shared directly with friends via email from mobile devices. Get directions using Google Maps. By Clicking on the find button a consumer can find the retailer in seconds.